Like me, you may have several weddings coming up in November and December. Looking for both cocktail and black tie attire, here are some of my favorite looks. 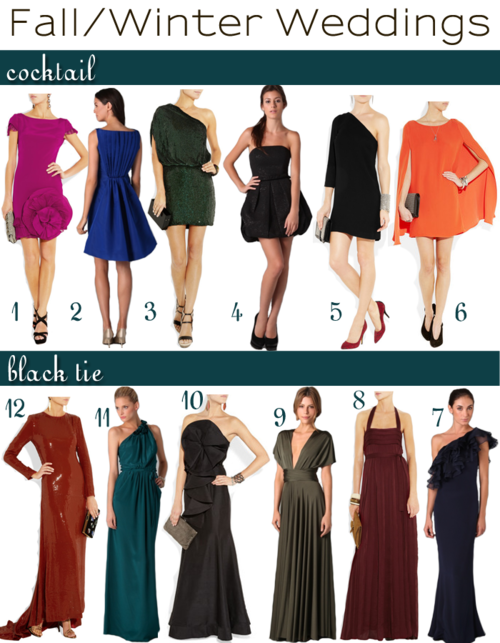 My top choices would be the Halston Heritage one-shoulder and the Rachel Gilbert gown. Gorgeous! Style tip – to keep warm on those chilly nights, pair your dress with a fur stole or wrap in a complementing shade.